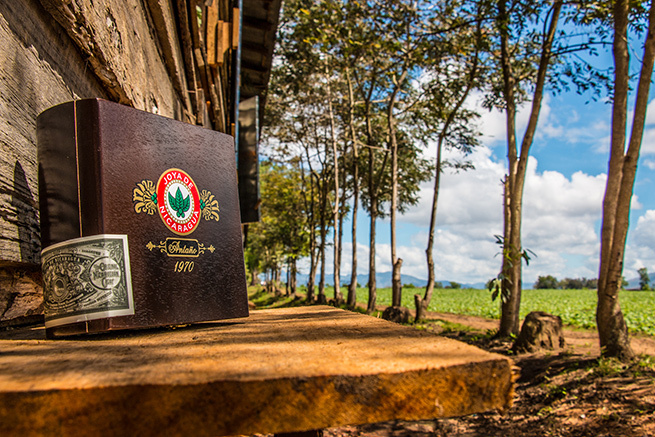 The Antaño 1970 came to revitalize the Joya de Nicaragua line. Read below for a never before exposed story about how the Antaño 1970 was born. The Joya de Nicaragua Clásico was renowned because of its quality and flavor and without exaggeration was considered to be one of the best cigars at the time. So much, that it was the cigar of choice for the White House. Joya de Nicaragua has withstood several hardships throughout its history, even going as far as enduring the destruction of our factory. Also, and because of the impending demand of cigars that began in the early 90s widely attributed to the establishment of lifestyle and cigar publications, many cigar companies sacrificed quality to be able to cope with demand. Coincidentally, the 90s was also the time when people’s interest in stronger cigars peaked. 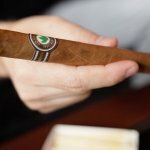 For this reason, Joya felt the need to relaunch itself with a new game-changing cigar, just as it had done during the 1970’s. Early into the year 2000, the Joya team tried creating a variation of the Joya de Nicaragua Clásico by switching the wrapper for a much darker one. This variation did not get many accolades from the team, and at that moment, they realized they needed a game-changer cigar, a cigar of unprecedented strength. And so the creation of this strong cigar began. The process of creating the Antaño took over 50 samples in a period of 6 months to get it right. However, the chosen sample was nowhere near that batch. Picture this: You are in a sales meeting that you feel has repeated itself for around ten times. The outcome of the meeting is yet again the same, the samples you brought in for your company’s new cigar ‘are not it’. Someone in the meeting asks if there aren’t any more samples to try, and you think to yourself ‘What do I have to lose.’ Our factory manager Leonel Raudez, found himself in that same position. Someone in his place would have typically answered no to that question because it was the truth. There were no more samples, but what he did instead was say that he had a couple more left in his hotel room. A couple of weeks back, Leonel had jokingly challenged our Production Manager, Alberto Martinez to blend a cigar that would knock him off his feet. Alberto, looking to get a kick out of the whole situation took his word for it and with the help of Ramon Gutierrez, our master blender at the time, created a robust cigar made out of uncommon thick and heavy tobacco that was only used in small quantities. This cigar apparently did not even meet the standard production rules that the factory had at the time. 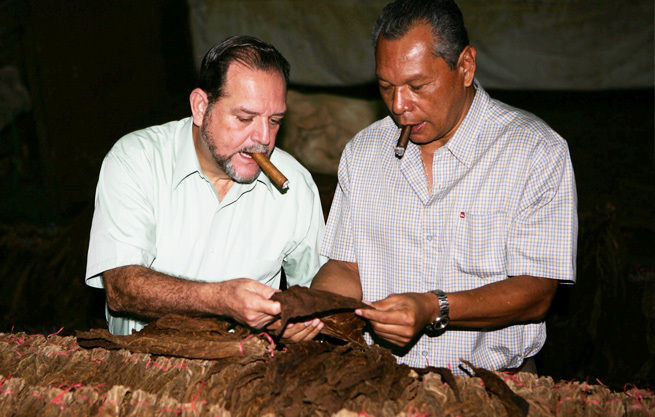 Before his trip, Alberto gave the cigars to Leonel, who intended to try these cigars in his downtime and for personal use only. Yes, I know what you are thinking – Did he really take those cigars to the meeting? Oh yes, he did. Without having the least idea of the composition of those cigars, Leonel took a long shot and shared them with the team who immediately said: Wow, this is exactly what we are looking for! Mission accomplished. We had created a different, unprecedented cigar which was also the strongest and most full-bodied in the market at the time of its launch. The Antaño is exclusively crafted by hand and entirely of Nicaraguan harvested tobaccos; this cigar is an ultra robust, spicy smoke with an earthy finish, unbridled body, and aroma, which showcases the authentic Nicaraguan “Puro”. So how do we go about naming and branding this cigar? We knew we wanted to make notice that this was a cigar that was going to look and take back our times of glory during the 1970’s. We battled with a lot of names that embodied this feeling we wanted to look put forth, some of them include Circa 1970 or Remembranza 1970. However, it was John Ayers, the creative behind some of Joya’s most emblematic ads of the time who suggested the name ‘yesteryear’ which translates to Antaño, a beautiful Spanish word that means the recent past recalled with nostalgia. And so the Antaño 1970 was launched in 2001 at the RTDA (the now IPCPR) with great success, it even won the strongest cigar award in the show. It was presented in three vitolas: Robusto Grande, Belicoso, and Gran Consul. Consequently, It made Cigar Aficionado’s Top 25 cigar shortly after the launch and had a retail value from $4-9. What do you think of the Antaño 1970 and its history? Was it what you expected? Send us your comments in the comment section below or reach us through our social media channels!